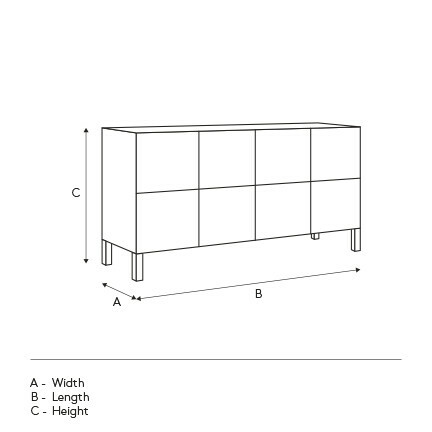 Ideal for all your home entertainment components, this entertainment unit comes with an open section and two pull-out drawers for additional storage of any and all remotes and other home entertainment implements. Its smooth and sleek walnut veneer surface gives it a distinctly modern and minimalistic look while its shelves in a stainless steel trim add a touch of ingenious flair to its pared-down design. The perfect combination of style and function, it will draw attention no matter which room you place it in.